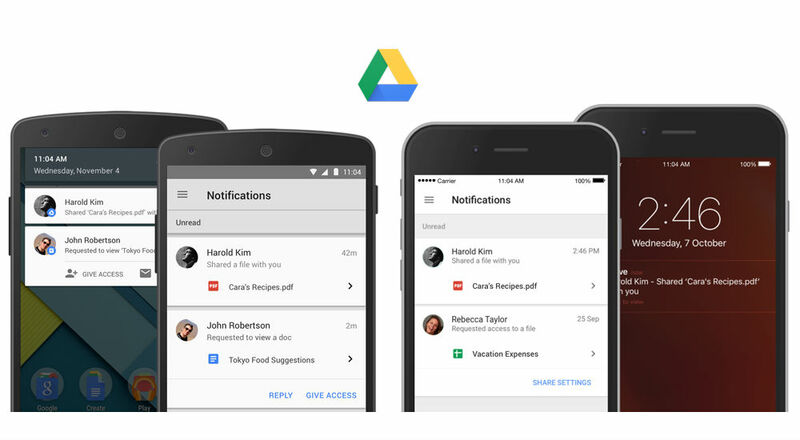 An update for Google Drive is rolling out, bringing three features for those who use the service routinely on mobile devices. Once updated, users will have easier access to granting and gaining access to restricted files, the ability to preview files without a Google account on an Android device, and rich notifications when files are shared with you. On the notification side of things, after the update, you will receive mobile notifications to alert you immediately when files or folders are shared with you and a single tap can take you right to them. Lastly, anyone can now preview documents, even if they do not have a Google account, as long as they are on an Android device. Why you would use Android and not have a Google account, I have no idea. The update is rolling out to Google Play now, so keep you eyes open for it.